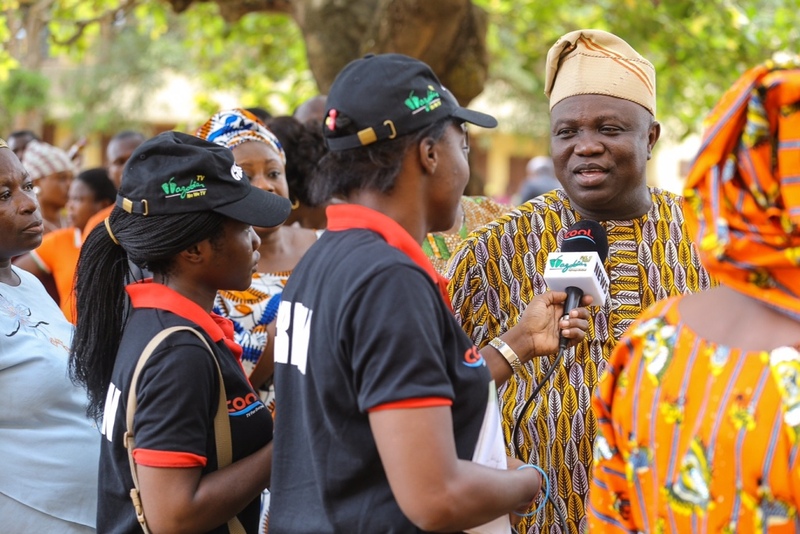 Lagos State Governor, Mr. Akinwunmi Ambode, on Thursday received members of various labour unions in the state on peaceful rally at the Lagos House, Alausa, where urged them to rally round weight behind the anti-corruption crusade of President Muhammadu Buhari. 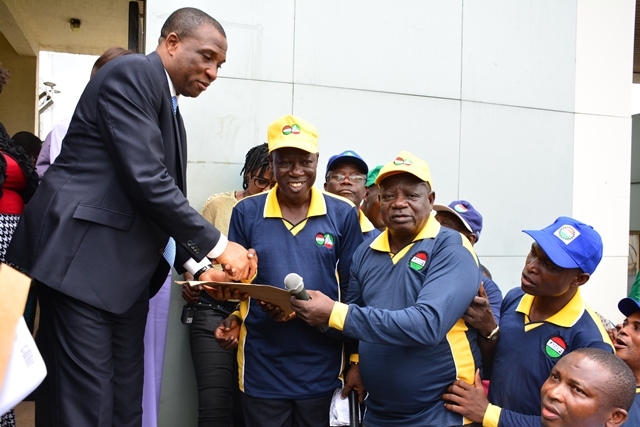 The Governor who was represented by the Secretary to the State Government, Mr. Tunji Bello commended the labour unions consisting members of the Trade Union Congress (TUC), National Labour Congress (NLC), National Youth Council (NYC) and the Committee for the Defence of Human Rights (CDHR) for their decision to show solidarity with President’s Buhari’s quest to stem corruption. He said that Nigeria is presently at a defining moment of its democratic history which will require all hands to be on deck and support the drive of the government at the centre to return the nation to its glory days. “We must thank you immensely for the support that you are giving President Buhari. This is what Nigerians need. You are the leaders, you are the opinion molders, without you setting agenda, there is no way this country can progress, so we really appreciate you”. 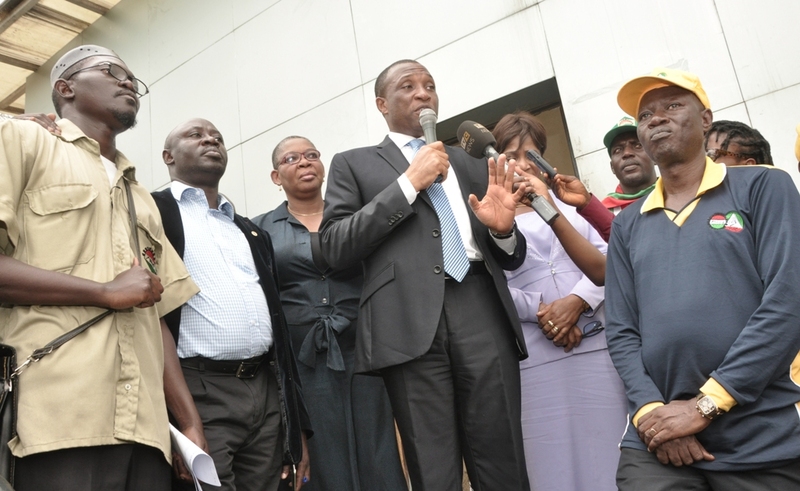 Secretary to the State Government, Mr. Tunji Bello (2nd left), Permanent Secretary, Office of Civic Engagement, Mrs. Elizabeth Adekanye (left), Chairman, Trade Union Congress (TUC), Comrade Akeem Kazeem (middle), State Chairman, Nigerian Labour Congress (NLC), Comrade Idowu Adelaku (2nd right) and the National Vice President, National Youth Council of Nigeria, Prince Adeeso Sadiq (right) during a solidarity rally to Governor Akinwunmi Ambode by Committee for the Defence of Human rights(CDHR) to register their support for President Buhari’s Anti-Corruption War at the Lagos House, Ikeja, on Thursday, September 10, 2015. “All the messages you have brought on this anti-corruption crusade must be delivered to President Buhari. The Governor said I should assure you that your message will be delivered because he takes you as very important partners in progress”. “He is also seeking your support for all the things President Buhari and the State Governor are doing, so whatever input you may wish to offer, his doors are always open to you”, Bello said. State Chairman of the TUC, Comrade Akeem Kazeem, said they decided to stage the rally nationwide to throw their full weight behind President Buhari’s anti-corruption campaign, lamenting that the scourge has not only plunged the nation into wanton poverty and infrastructural decay but has dented the image of Nigeria over the years. “Corruption has created a very bad image for the country and its citizens, as Nigerians are viewed as corrupt and dubious people outside. It has affected all sectors: health, education, petroleum, power, agriculture, transport, goods and services as well as manufacturing”. “It has also led to massive brain drain- a great number of Nigeria best brains have been driven to other parts of the world where they now spearhead developmental and scientific exploits”. Secretary to the State Government, Mr. Tunji Bello (2nd right), State Chairman, Trade Union Congress (TUC), Comrade Akeem Kazeem (middle), Permanent Secretary, Office of Civic Engagement, Mrs. Elizabeth Adekanye (middle), Chief Press Secretary to the Governor, Mr. Habib Aruna (2nd left), Coordinator, Committee for the Defence of Human rights (CDHR), Comrade Olaitan Isiak (left) during a solidarity rally to Governor Akinwunmi Ambode by Committee for the Defence of Human rights(CDHR) to register their support for President Buhari’s Anti-Corruption War at the Lagos House, Ikeja, on Thursday, September 10, 2015. 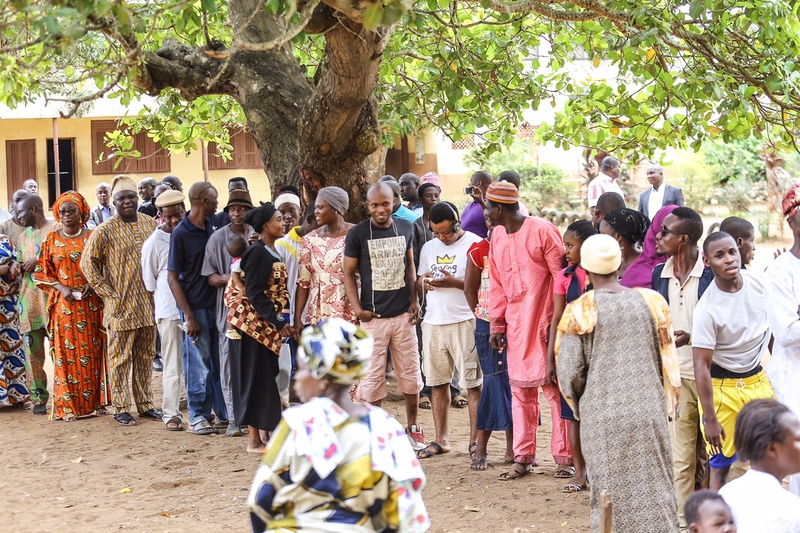 “On average, virtually all aspects of Nigeria’s infrastructure are in deplorable condition. 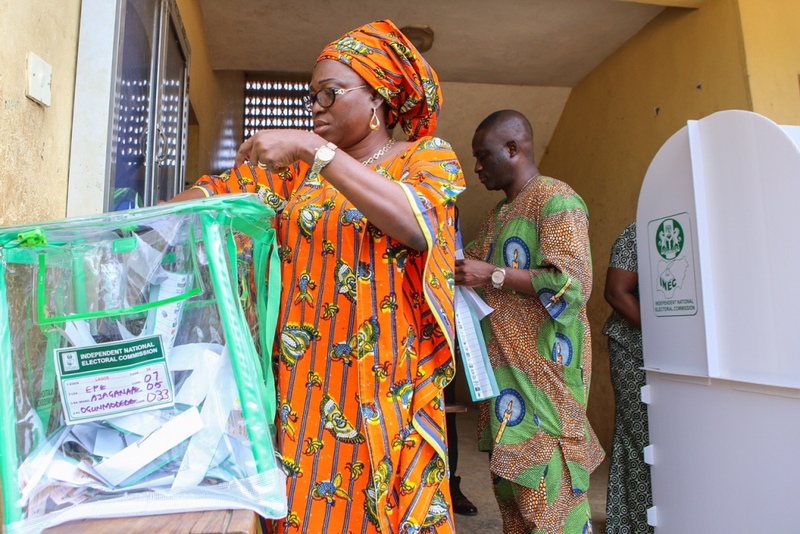 The country is characterised by bad road networks, constant power outage, lack of security, inadequate water supply, outdated health facilities and declining education system, failing communication networks and unstable economic growth”, Kazeem said. 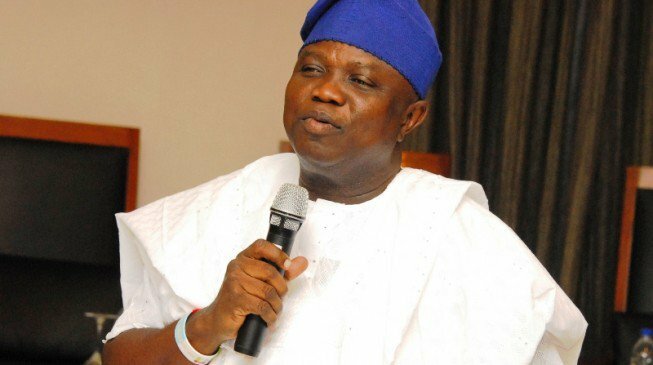 He also commended Governor Ambode’s strides in the first 100 days in office, saying that the labour unions are fully in support of his drive to invigorate the state civil service and engender development in the state. 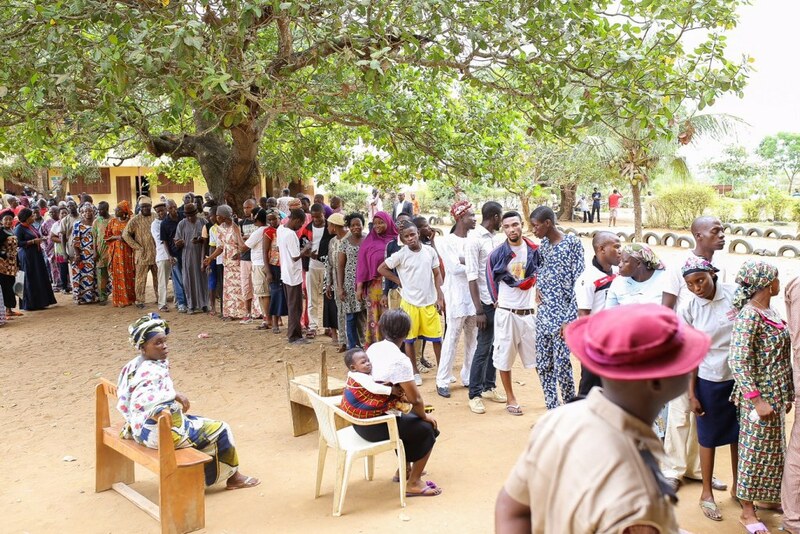 “In this state, we have said pensioners’ benefits have not been getting the required attention for so long a time. We must recognise the fact that we are aware that Governor Ambode has released the sum of N11billion to offset pension arrears. It’s a right step in the right direction”. 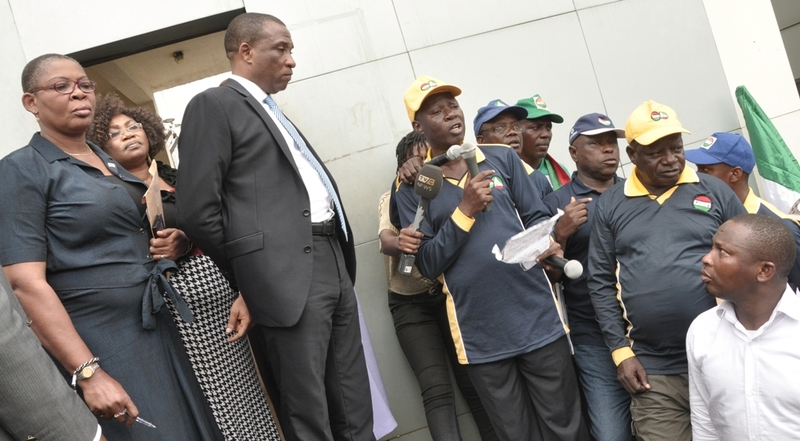 Representatives of the TUC, NLC, CDHR and NYC at the rally took turns to present letters to Governor Ambode for onward transmission to President Buhari, to intimate him of their full support for his anti-graft war. 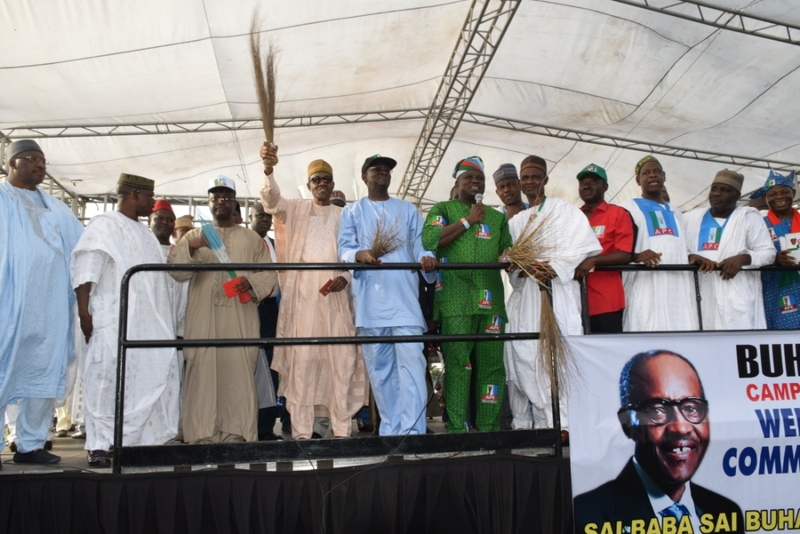 The enthusiasm and excitement that enveloped the Agege stadium, venue of the rally organized today by the Lagos Arewa Community in honour of All Progressives Congress (APC) gubernatorial and Presidential candidates, Mr. Akinwunmi Ambode and General Muhammadu Buhari, was simply overwhelming. Deafening chants of “NIGERIA! APC! SAI BABA! 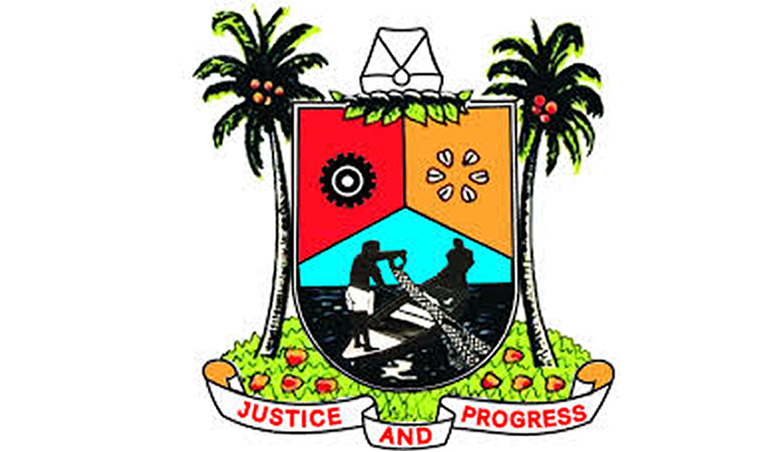 LAGOS! 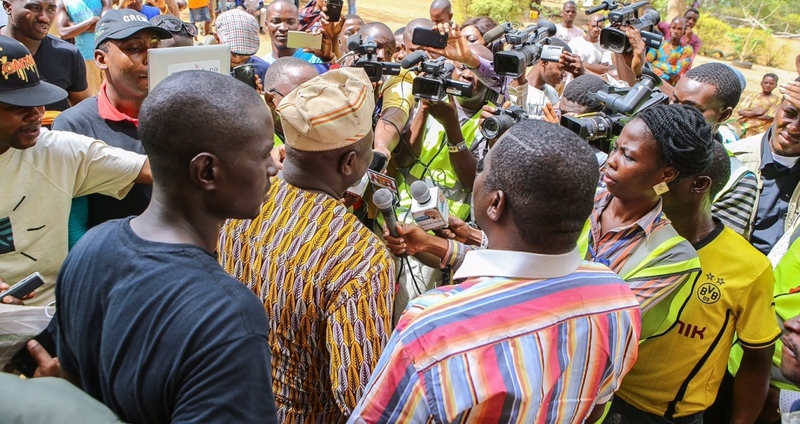 AMBODE!”, that was chorused by the large number of the Arewa people gathered to receive the duo and the APC entourage, showed their love and support for the candidates and further attested to their determination to vote Change at the centre and then continuity in Lagos. In his opening address, APC National leader, Asiwaju Bola Tinubu thanked the Arewa community for the amazing show of support given to the APC. 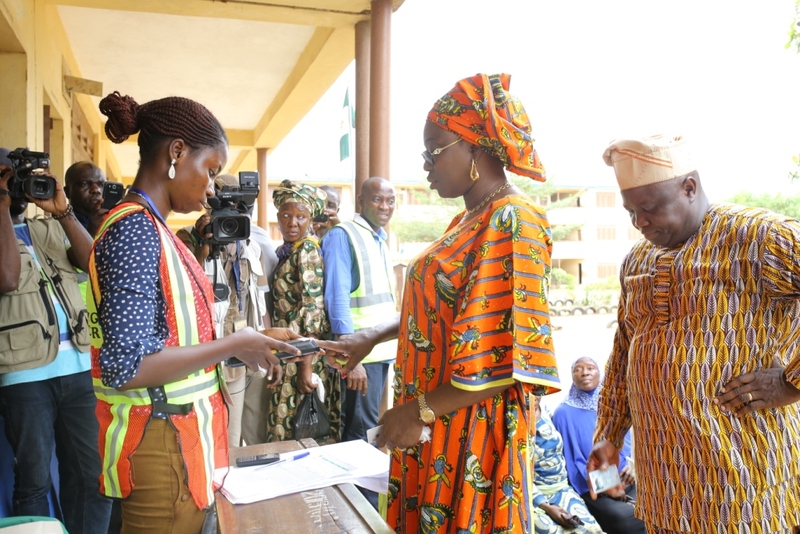 With the intention to ensure that the support shown actually translates to votes, Asiwaju Tinubu moved on to describe the incoming election as a “clean-hand” election, where the eligibility of each voter boils down to the card and fingerprint verification processes. 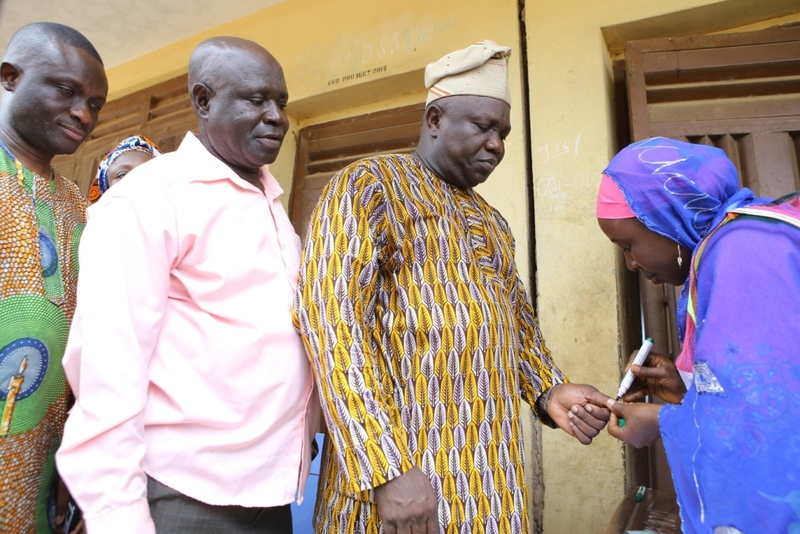 “Clean your hands very well, and cast your vote. Don’t allow anyone to disenfranchise you because of this. Remain resolute, and I believe that the support you have shown today by this crowd will translate to votes, and we will win”, Tinubu noted. 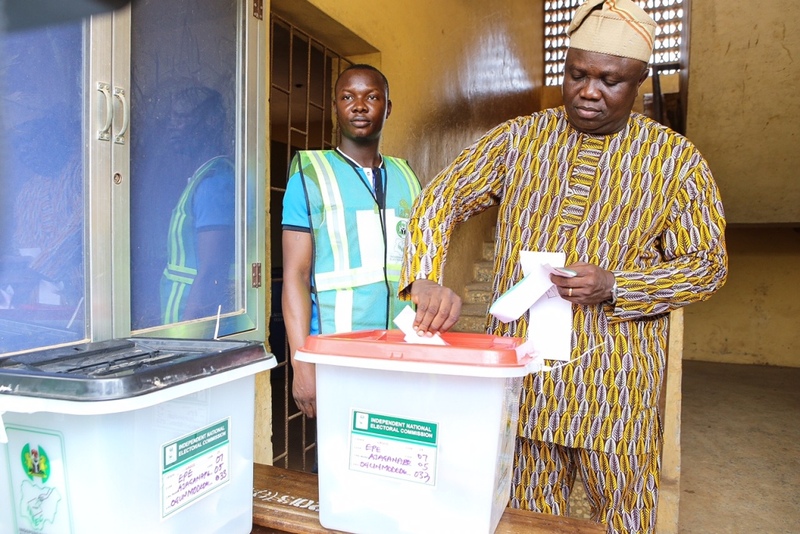 “The election on March 28 and also on the 11th of April will mark points of history in our nation, and this your show of unalloyed support for Change at the centre and for continuity in our great state Lagos, gives all of us great hope”, he added. 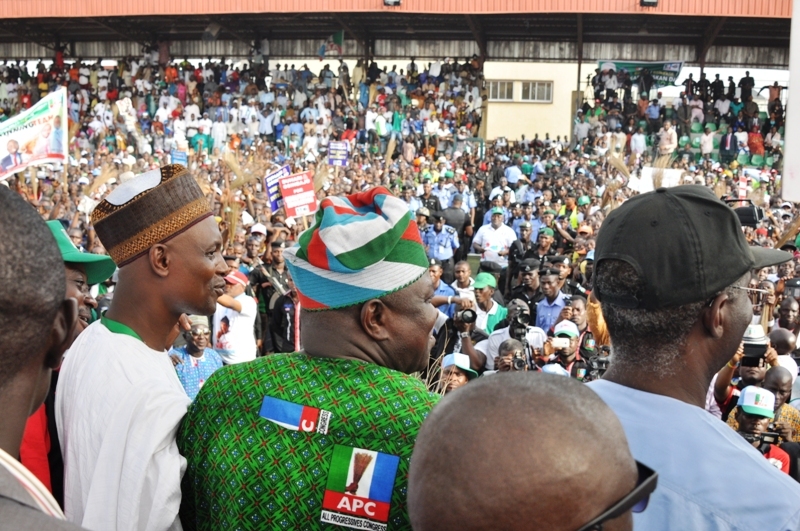 Speaking in Hausa, General Buhari also appreciated the support given to his candidacy and also to that of Mr. Ambode. 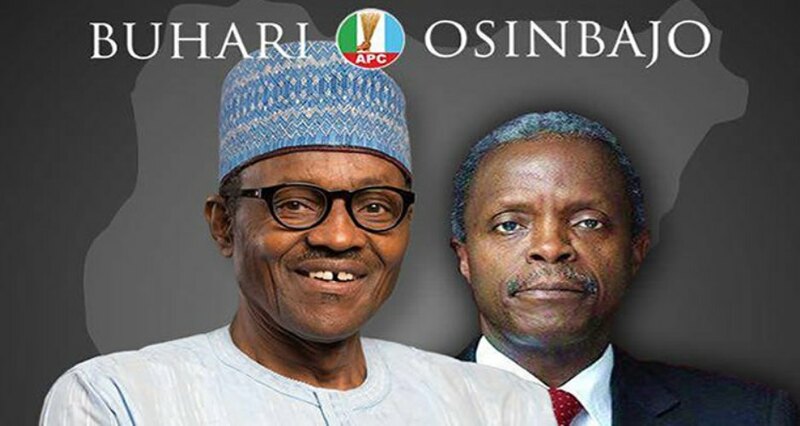 He decried how bad the nation has been run by the excuse-laden PDP government and assured that an APC government, when elected by their votes will ensure a turnaround of the nation’s fortune for the good of all. Governor Fashola labelled the PDP as untrustworthy and unreliable, judging by the endless list of unfulfilled promises given by them, and therefore implored the Arewa faithful to remain truly resolute in the cause of making Nigeria work successfully. 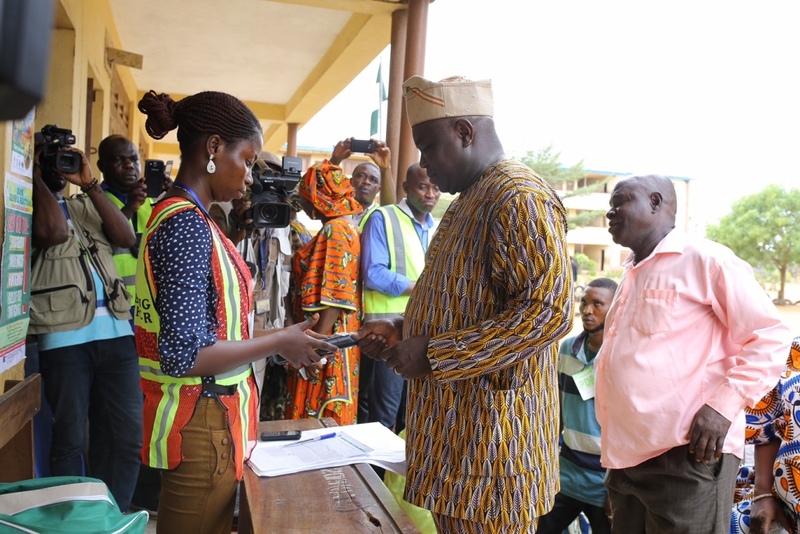 “Do not be intimidated, do not be bought over, do not fear; cast and defend your votes for the APC non-violently, and I assure you that we’ll all enjoy the fruits of good and truly transformational governance”, Fashola added. The Arewa endorsement rally adds to the growing list of support given to the APC by the resident ethnic nationalities in Lagos state, ahead of the beckoning general elections in the country.